Author: Hall, Connie Set In . . .
Over the centuries man has selectively bred animals to achieve productivity. However, modern agriculture has meant that today relatively few breeds are now used and bred extensively. 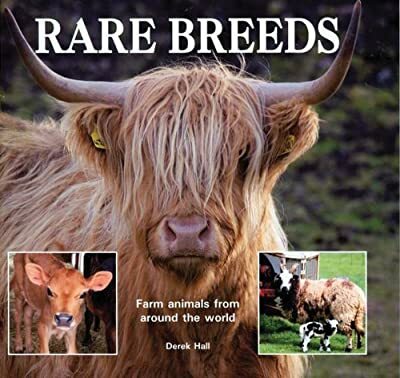 Fortunately, many of the more rare and interesting breeds still exist and are being carefully conserved for the future. We now realize the importance of their gene pool and enthusiasts everywhere are setting up small breeding programs for animals such as chickens, cattle, farm horses, goats, sheep, ducks and geese. This book will help the enthusiast set up a breeding program and instruct them in how to care and maintain their animals. A rare breed is defined as a breed of livestock that is not common in modern agriculture, though it may have been in the past. Various national and international organizations, such as the United Nations Food and Agriculture Organization, the American Livestock Breeds Conservancy, and the Rare Breeds Survival Trust of the United Kingdom, each define the exact parameters by which a breed may be defined as rare, and many breeds that qualify only have a few thousand or a even a few hundred breeding individuals remaining in the world.